Home / News / Women headed to church forced back into home. But one victim grabs gun — and it's all over for intruder. Women headed to church forced back into home. But one victim grabs gun — and it's all over for intruder. A trio of women — ages 75, 55, and 29 — were on their way to church Sunday morning when a man outside their Detroit home forced them back inside, WJBK-TV reported. But the 55-year-old wasn't about the let things escalate. She reached for a gun and fired twice at the intruder, the station said. She hit the man at least once in the chest, which turned out to be a fatal shot, WJBK said. As you might expect, the woman who fired the shots won't be facing any charges, as Detroit police told the station her actions were in self-defense. What did a neighbor have to say? Neighbor Lashundra Craig told WJBK she also was about to go to church when she "heard the shots." But the aftermath didn't deter her from worship Sunday, as even after crime tape went up, Craig told the station she simply "went to church." 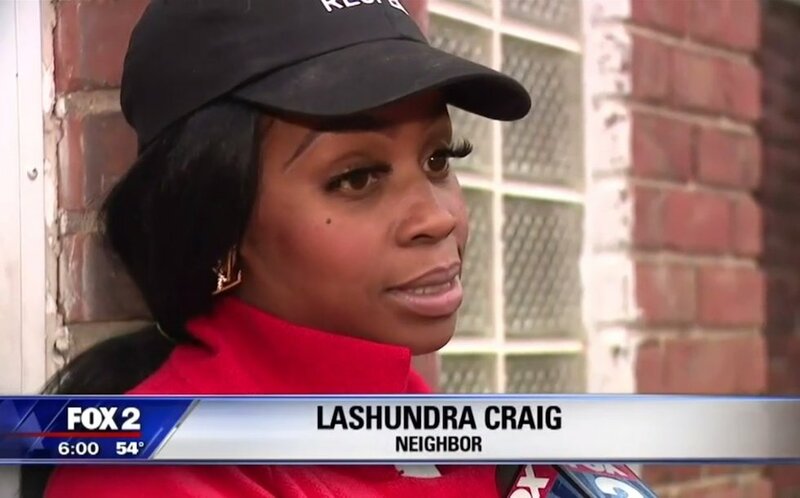 After a WJBK reporter asked Craig if she believes she could have pulled the trigger in such a situation as well, Craig said indeed she could have. "Yes," she replied. "I don't own a gun, but if I did, and they were in my house, yes." Craig added to the station that such crime is a regular happening in her neighborhood. "It's pretty normal over here," she told WJBK, noting that her own home was broken into less than a month ago — and also in broad daylight. Craig added to the station that she does her best to shield her daughters from danger by keeping them away from her home as much as possible: "That's what we have to do." Another factor that may be inviting crooks to the neighborhood is that the elderly and single mothers like her make up the lion's share of folks on her block, WJBK said. "Watch your back," Craig noted to the station, adding that "trees and woods" near her corner property means criminals "could be waiting anywhere for you."